PHOTO: Pamela Klein of her new novel 17 Dresses, which is referenced below in my lead-in part of Larry and Ann Walker’s newly released book A Guide to the World’s Best Rosés. 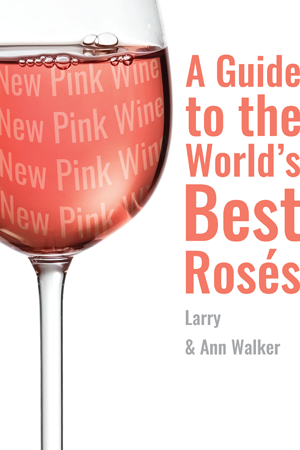 A Guide to the World’s Best Rosés ~ by Larry & Ann Walker is a Gap-filling Rosé book; it’s timely, comprehensive, and fun. I’m delighted for Larry Walker and his wife Ann Walker. Now I know why he disappeared for a bit. 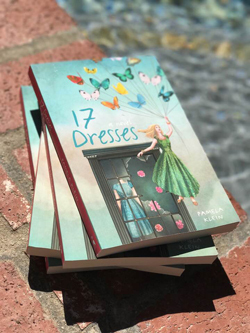 My friend Pamela Klein just received her first hot-off-the-press copy of 17 Dresses. Pamela and I were just chatting about that it took six years to get her fiction from start to a finished book in her hand. I remember meeting in her San Juan Puerto Rico n 2015, as one of my Facebook friends. We had a great time, she moved back to the LA area, Hurricane Maria has happened, now her book is released. That’s like a lifetime… Six years for her. Larry and Ann… you scamps! 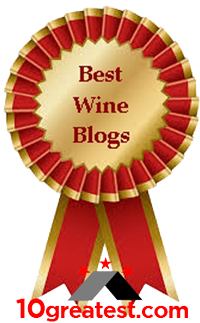 Larry and I spent many years working together, because he’s a wine writer/reviewer and I’m a wine publicist. He was a valuable contact for my wine brands. I actually thought he had retired. I’d see things pop up occasionally, but it didn’t seem to return to where it was pretty quite often. Now I know… now we all know. Larry and Ann have given birth to their project. They now have got “writing duo” on their list of accomplishments. Larry and Ann are obliging the rapidly expanding US set of rosé devotees, with their timely new buyers’ guide. And the authors bear a message for these new American enthusiasts. Pink wine tastes just as good in December as it does in July. As the US Rosé market heats up, authors Larry and Ann Walker offer a “how-to” manual for the coming revolution. 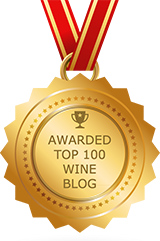 For one, pink wine is arguably the most food friendly wine. The Walkers are true foodies, and it shows. 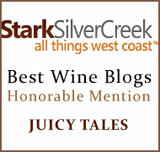 Included are a dozen exotic recipes from regions where pink wine has been drunk for millennia. The New Pink Wine is the only rosé buyer’s guide in print, featuring over 200 wines from around the globe, with tasting notes written in a style that “conveys a sense of genuine pleasure rarely encountered in wine writing these days,” says Norm Roby author of The Connoisseurs’ Handbook of California Wine. Pink Primer: rosé history, and methods employed to make pink wine. Pink Profiles: Discussions with producers from the U.S.A., France, Iberian Peninsula, South Africa, and beyond. A case of quality for value. 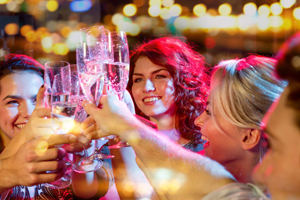 Wines and Producers Indexes for easy in-store selection. 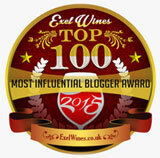 Steve Burns, President of Wine Market Council and co-founder of O’Donnell Lane, LLC. Final thought: There are a lot of “pink” books out there. I’ve read a few lately. Each one brings a different perspective. What I love about this duo activity is Larry’s longevity in wine. There’s lots of history with some very important Rose producers, from around the world via their world travels. Names that you’ll come to know, via reading this lovely book. Couple that with Ann’s area of expertise for cooking, this is a total package: history, present, and the future of your own rose wine and culinary pairings, with her exotic recipes, from regions where pink wine has been enjoyed, especially for millennia. I’ve been wondering for years what happened to Larry, a former colleague at Wines & Vines. I quit the magazine myself earlier this year, and then learned that after 100 years (!!!) the magazine itself is quitting. Got a contact for Larry and Ann? I have some personal news for them. Drinking some pink and checking the news. Jane, sorry that Wine & Vines is closing. I’ll get the contact for you from the Publisher Board and Bench. Back in a bit. Enjoy your pink. The news? It’s anybody’s call what’s to like and what’s not to like – daily.